Mara Plains is an elegant and intimate tented camp located on the 35,000 acre Olare Motorogi Conservancy, adjoining the Maasai Mara Reserve. 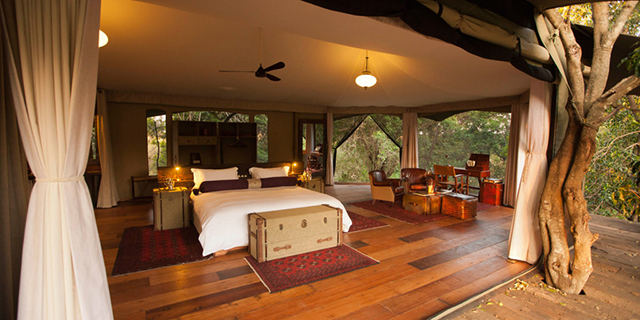 With just seven spacious and superbly-furnished rooms, Mara Plains is one of the most exclusive and luxurious tented camps in the Mara ecosystem; with quick and easy access to two of top private Conservancies as well as the National Reserve, it is also one of the best located. The Olare Motorogi Conservancy adjoins the Maasai Mara directly to the north. The habitat comprises a diverse mix of open grassland and savanna woodland, providing abundant food to sustain a large volume of resident wildlife year-round, which makes Mara Plains an outstanding safari destination both during and outside of the migration timeframe. 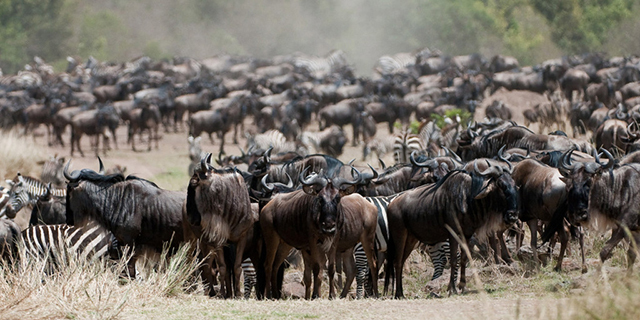 The camp’s close proximity to the National Reserve boundary places it in the unique position of being able to quickly access Mara River crossing points, while still enjoying the significant advantages of being on a private conservancy. 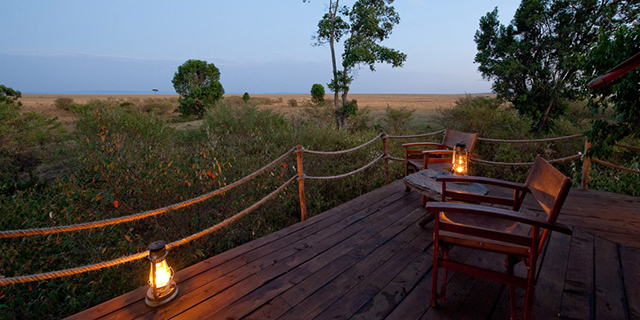 With just five small camps and over 35,000 acres of prime habitat, the Olare Motorogi Conservancy offers a very private and intimate safari experience, away from the minibuses and crowded roads inside the National Reserve. Mara Plains is unique in also having access to the adjoining Mara North Conservancy, with another 70,000 acres of prime wildlife terrain, and guests have an excellent chance of seeing all the myriad species that “The Mara” is famous for, including the “Big Five” and an unusually high concentration of predators. 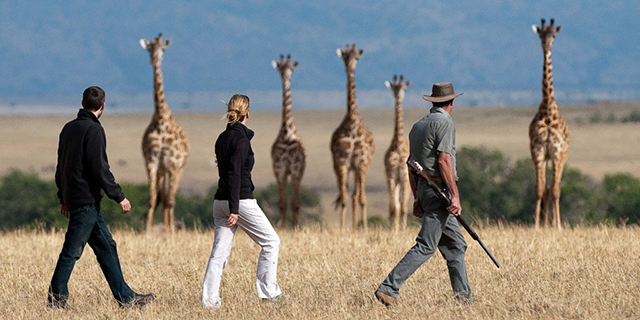 Being outside the Reserve boundary provides significant flexibility with respect to activities, and Mara Plains offers day and night game-drives in specially adapted open safari vehicles, walking safaris, and Maasai village visits. Hot air ballooning is available as an extra activity at additional cost (pre-booking essential). 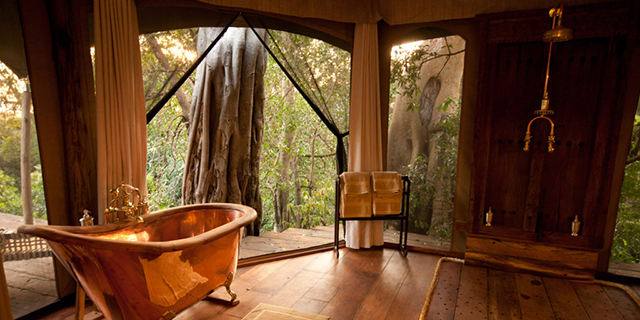 The camp is nestled in lush forest on the meandering bends of the Ntiakatek River, and careful thought was given to every detail. The camp is not an imposition on the landscape, but rather a subtle refuge among the wild. Its presence does not detract from the visual beauty of the ecosystem, but incorporates it with sweeping views across the plains and careful position among the riverine forest. It is captivating on arrival. The camp’s main area takes your breath away. After crossing the bridge, Africa is revealed. Positioned just so, the horizon lies ahead, punctuated by a single acacia tree. It’s the Africa of the mind’s eye. Flanking the main area is both a library and dining area, two places to enjoy life’s finer things. Flowing fabrics, open-air spaces and strong teak structures ground the space. Each of the seven tents has deep canvas canopied ceilings, rough hewn wood floors and accents of East Africa’s rich safari history. Thick Lamu wood doors, deep purples, and brass accents – these small details transport guests to a time and land far away. The well-appointed en-suite facilities (including a deep copper bath) plus the extensive private verandah complete what is genuinely a stunning concept. These stylistic elements coupled with thoughtful environmental elements such as solar power and no cement make Mara Plains is a modern-day safari retreat. No two tents is the same, each named after the colorful Maasai people. With its prime location, intimate nature, outstanding guides, and elegant accommodations, Mara Plains Camp is a top contender for the Maasai Mara’s best tented camp. The Olare Motorogi and its neighboring Conservancies represent a revolutionary approach to overturning the loss of wildlife habitat through encroachment from a rapidly growing human population, which threatens to destroy one of the most valuable and important wildlife sanctuaries on earth. The Conservancies represent the culmination of years of negotiation between conservationists and local Maasai communities, whereby the Maasai agreed to remove their livestock from these prime wildlife areas in return for significant lease fees from safari camps. These fees, paid by Mara Plains and its neighboring properties on the Olare Motorogi Conservancy, support over 1,000 Maasai families, and help to ensure the retention of vital habitat and the survival of The Mara’s magnificent wildlife.